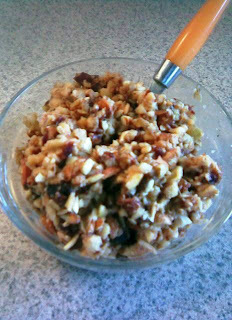 Delicious and filling porridge that's great for breakfast or anytime! 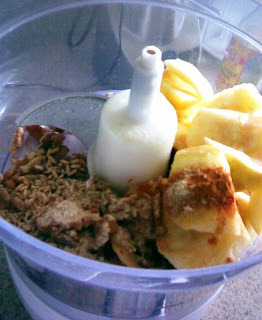 Put first 4 ingredients in food processor and process until nuts are in small pieces. Add the rest of ingredients and process until well combined. Serve by itself or with some almond milk drizzled on top. You can even "warm" it a bit in the dehydrator if you like. YUMMY......this quick raw breakfast sounds soooooo good. I cannot wait to try it. especially with the almond milk. Thank you so much for the recipes that you send out. It's extra delish with the almond milk!